Is it just me, or, now that I'm getting ready to set up my Winter Village stuff, does the Friends Snow Resort line look like they're only a few alterations (and a bit of stripping out the pink) away from fitting in nicely alongside the Winter Village sets? This is more pertinent to the Chalet and Ice Rink sets than the Ski Lift and Off-Roader. What does everyone think? 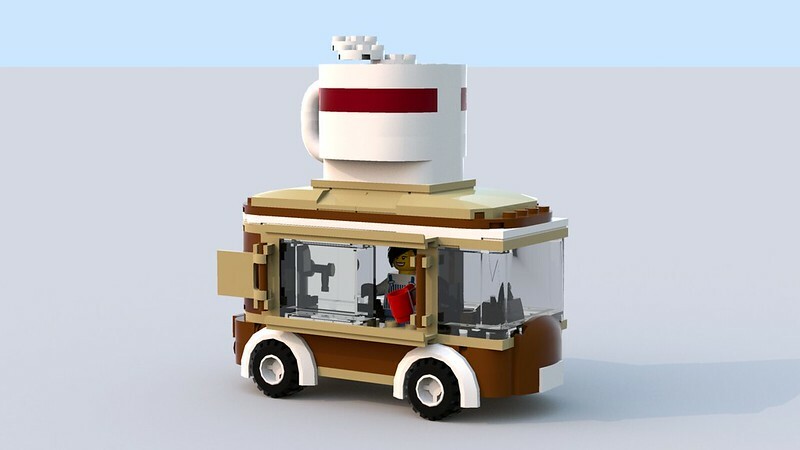 EDIT: And the Hot Chocolate Van! I completely forgot the Van . . which is more of a take it or leave it set for Winter Village applications, depending on what time period you picture your Village in (and how much you like hit chocolate). 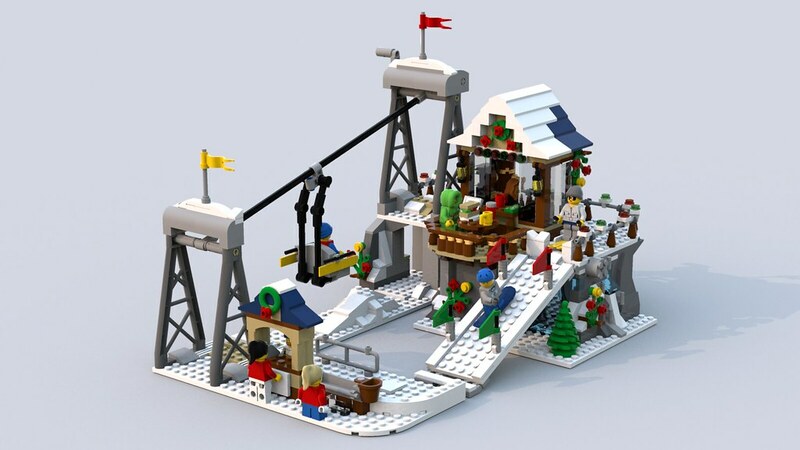 Forgot one of the Snow Resort sets. 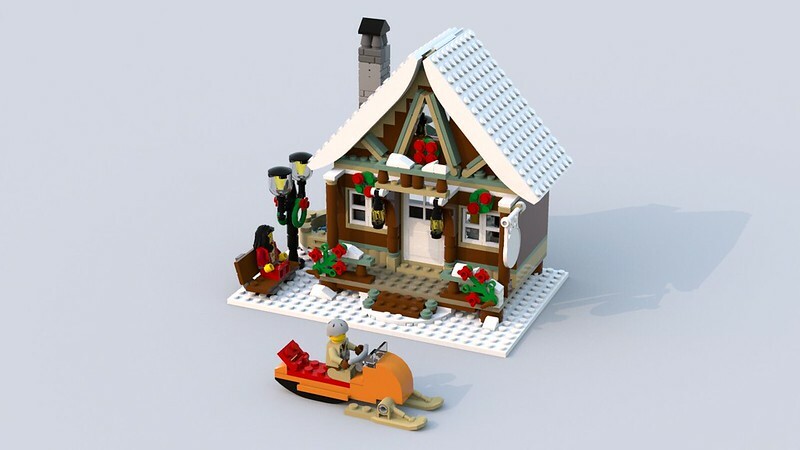 I was just looking at the 41323 Chalet today and I also think it has a Winter Village feel and the set looks like it could fit in as well. Although, like you, I think some color change would help. Exactly. I'm still working on my Chalet (and haven't gotten the Ice Rink yet - waiting for a good discount.) but I'll post some photos when I'm done. Definitely had the same thought. Looking at it more closely, though, it's really just a facade and not even as complete a building as the Winter Village sets. Still, can be a good starting point for a mod. I mean, I guess I'd remove the hot tub with digital entertainment center, but... it's a cute building. Yes, I know they aren't exactly the same, but Winter Village buildings are generally facades too! (Except the train, of course, but the point stands.) Plus, you have to consider that in spite of Winter Village's rustic 18-19-00-something charm, there's actually a few hints of modern technology. The toys in particular look pretty modern to me, as do the various Christmas lights that decorate various trees and roofs. 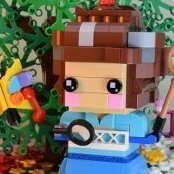 So I think that Winter Village is an old-fashioned village slowly coming into the modern era with only vague hints of technology for the most part. This is a long-winded way of saying it does not break the thematic to have a jacuzzi on the Chalet. Anyway, photos! . . . . Imgur apparently doesn't like me and won't let me post anything. And the file size is too big to just post here. :( Does anyone know any other good sites I can use? I am now. Let's see if this works. I have been tossing up whether or not to get the Friends Ski Lift to give my Winter Village's inhabitants some fun on skis. 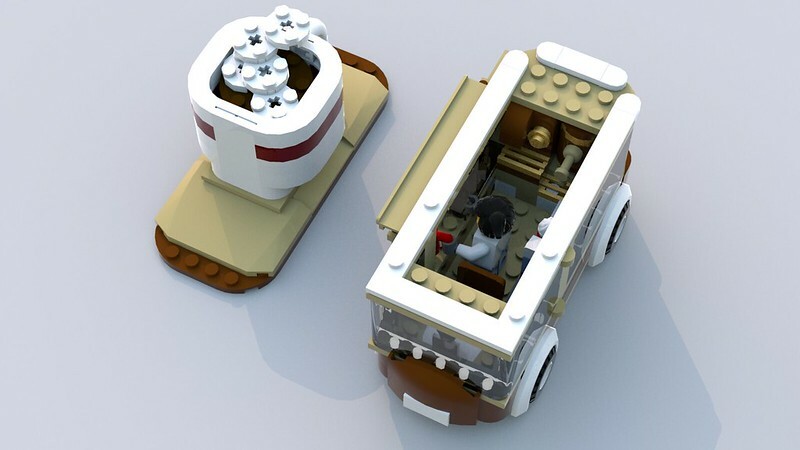 If something like that can be built using the parts, then it might just be worth it. Still, any opinions? As far as i could find no instructions for the ski lift nor the lxf file for it. I really like how you've transformed your chalet, Cheatay. The muted colour palette of brown, tan and sand green really works to make it fit within the winter village. Lovely. I am going to try those colours with mine too as I picked up some sand green pieces from the PAB wall recently and hope to use those somehow. Mine might have a few extra studs showing as replacement tiles are a bit more expensive. Removed quoted pics. Sorry, was using phone and pics were not visible in my reply! This may indeed be too contrasted but test to see the result. As long as you like the end result. Adding some friends colors to the existing Winter Villiage sets will also help things blend. Well, I couldn't find enough dark tan, but I decided to try using some medium nougat masonry bricks instead, sourced from the Elves Capture of Sophie Jones set and that TLBM Catwoman set (because the original set had medium nougat near the doors and around the hot tub and I wanted to continue the pattern), and it looks great. :) So I'm going to stick with that. 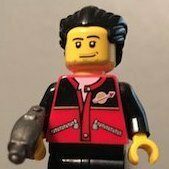 I decided the same thing about the Friends sets. Buy a few cheaply and then substitute the colours I want. I dislike facades, so I'll need 3 or 4 of each set and a few hinges to create opening walls before I begin. I have not started building yet. Maybe I'll wait for next Winter? Got a great start on my Friends and Creator winter mash-up this morning. Made modifications to two skidoos from the Friends Snow Resort Chalet 41323 sets. (I bought four sets on sale.) Part of the Friends Ice Rink 41322 and the Off-Roader 41321 are in the background. Really like your take on the chalet, but when i upload it to BL it gives me an error regarding part 18980, i have no access to LDD, is there anyone kind enough to help me out? The io file works for me! Thanks!